Imagine you are taking a break from the exciting tennis, and you climb out of the bleachers onto the grass and you see – Bistro tables with tennis green cloths and yellow chrysanthemum center pieces; you see people sitting and standing – and they have china cups and saucers in their hands and they are eating – cookies! 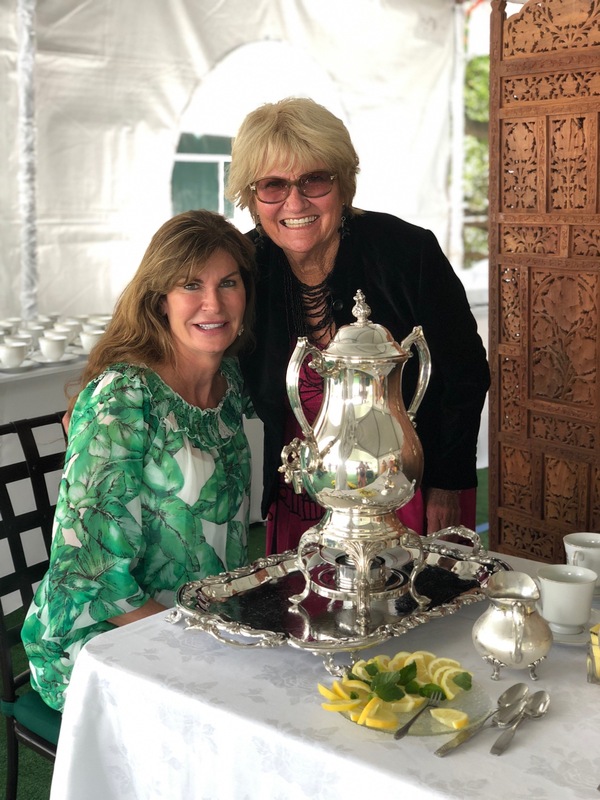 You look farther and see a large white tent – and in the tent you see a long, damask-covered table with a silver urn at each end – and sitting at each end is a nicely-dressed lady talking and smiling and pouring tea for those who approach her. In the center of the table you see cut lemons and sugar cubes on silver trays – and a magnificent floral arrangement in the center. Just in front of the tent you see a beautifully-dressed lady on each side holding a tray – with all kinds of cookies! A sign says, “Please join us for tea!” And so you do! 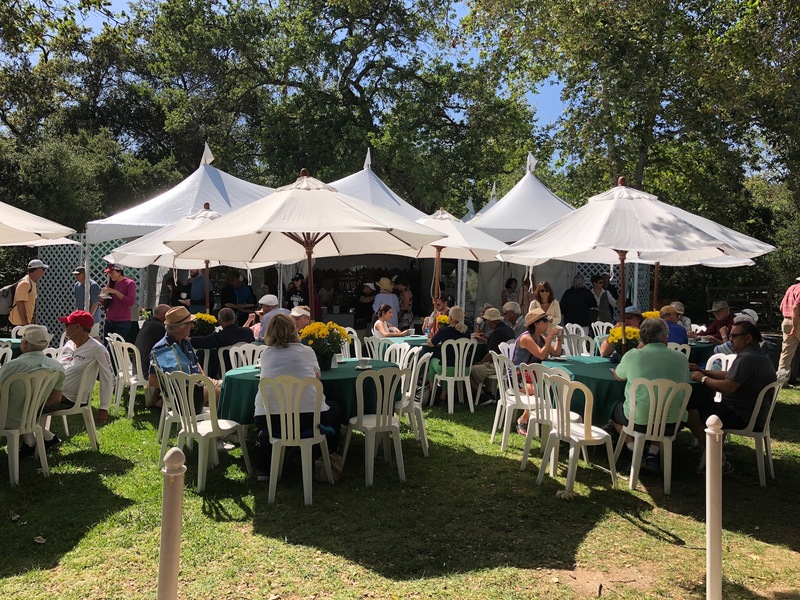 Ah, the tea tent – a tradition of The Ojai since 1904. 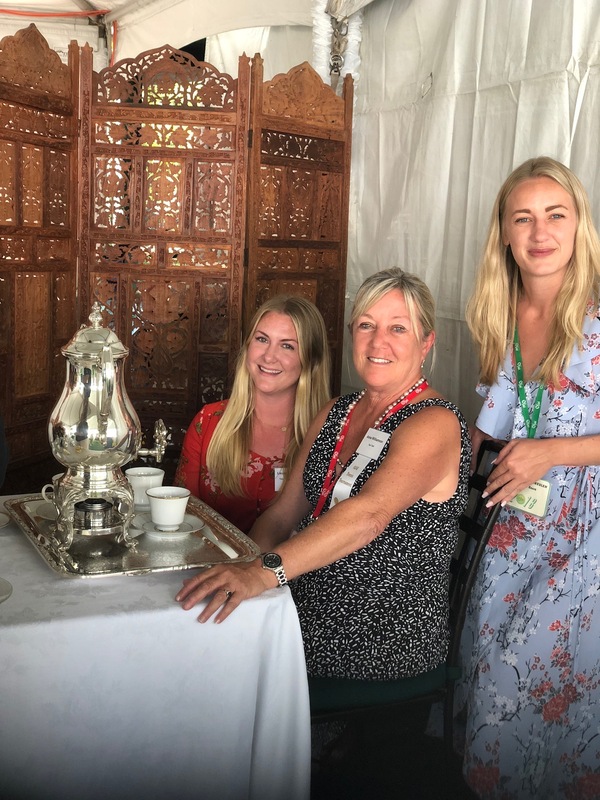 So what does it take to run the Tea Tent each year? 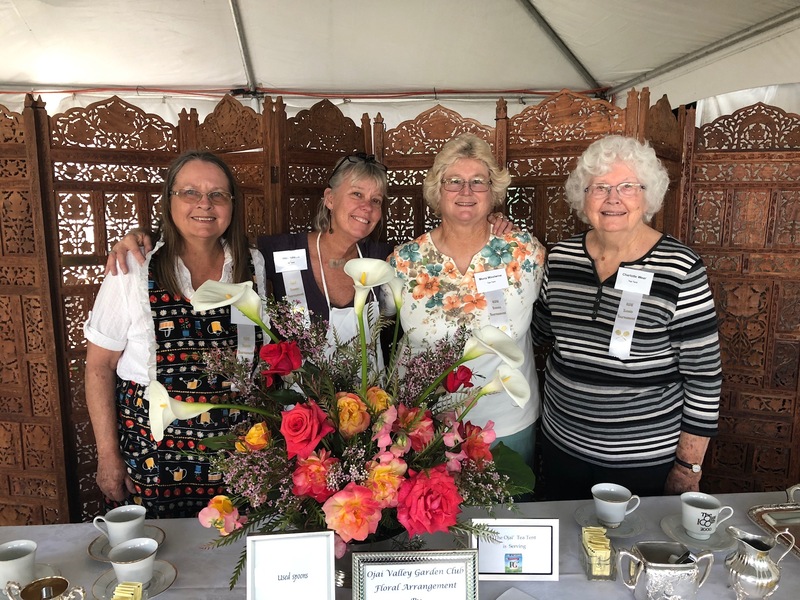 Well, it takes a board of directors’ liaison, a special assistant, a Tea Tent chair and vice chair, 4 day hostesses and 15 assistant day hostesses, and 4 floral arrangers from the Ojai Valley Garden Club, who create an extraordinary floral arrangement each day for the tea table. There are 5 kitchen staff members in our makeshift galley, the manager, Mona Woolwine, being a 3rd-generation Tea Tent kitchen manager and brewer of tea. 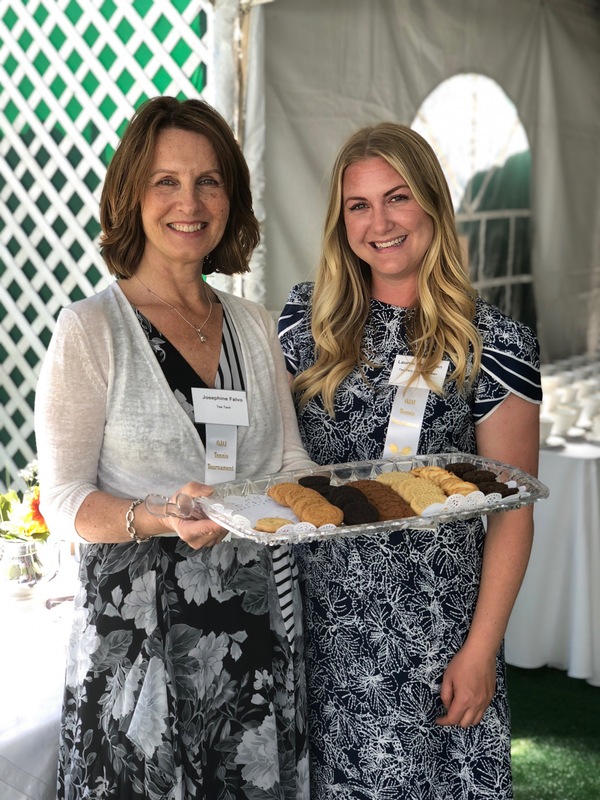 (Grandma and mother) Assisting the kitchen staff are 20 girls, 5 each day, from all the high schools in Ojai, who arrange the cookies on the trays and keep the trays full and flowing, while also removing used cups and saucers to the kitchen. And very importantly, we have our lovely cookie servers and tea pourers, active tennis and community women – 42 of each! – who come to serve cookies or pour tea for one-half hour. 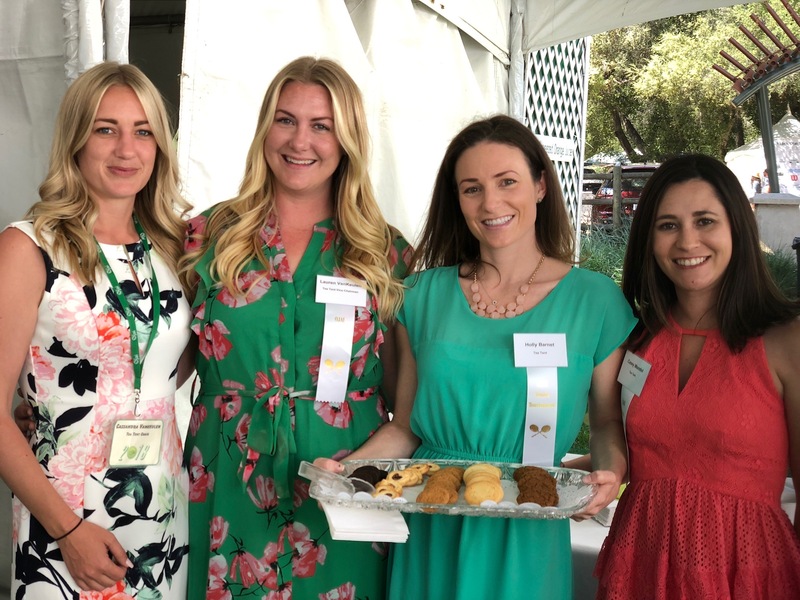 So it takes a total of 140 ladies to welcome our honored guests, spectators and players alike, so they can eat over 10,000 cookies and drink over 1800 cups of tea, while taking a break from watching the best that tennis has to offer. 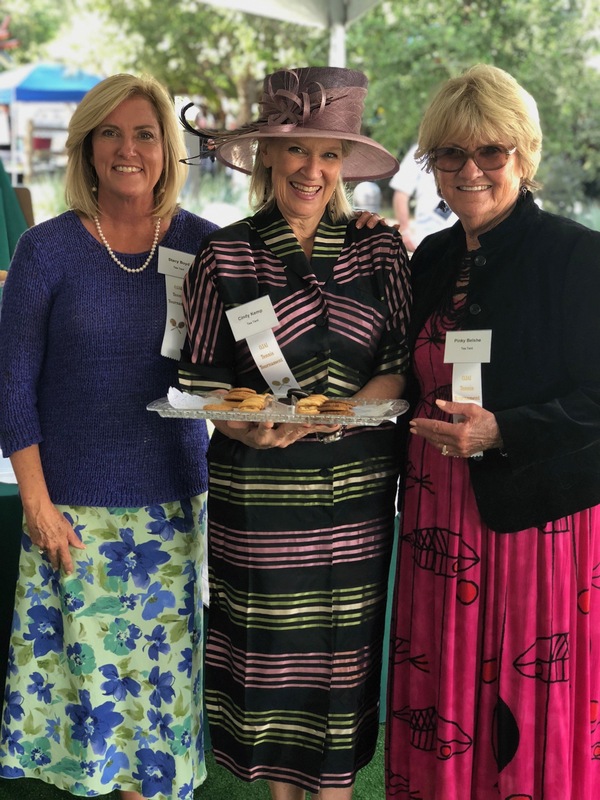 These folks come to The Ojai for the competition of tennis, they come for the camaraderie and the tennis talk, for the orange juice and for the tea and cookies, for the ambience of Ojai and for the created stage in Libbey Park. And, oh yes, they come for the TRADITION that is The Ojai – now in its 119th year!